This slim-line and elegant water saving shower head is made from top quality chrome and boosts an impressive 78 jet nozzles. When fitted this water saving handheld shower head will reduce the amount of water that flows from your shower to just 8 litres per minute (up to 50% less water used) ensuring that you conserve water and reduce your energy bill as a result of using less hot water. 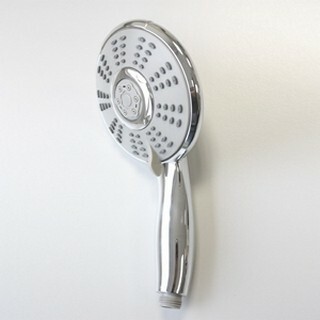 The best thing about it is that whilst you are saving on your bills your showering experience will not be compromised. German designed and manufactured this low maintenance water saving shower head is not susceptible to the build up of limescale. How does the Water Saving Showerhead Work? 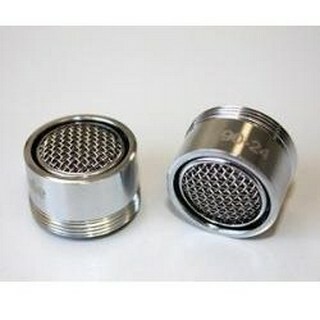 The showerhead works through an aeration process. 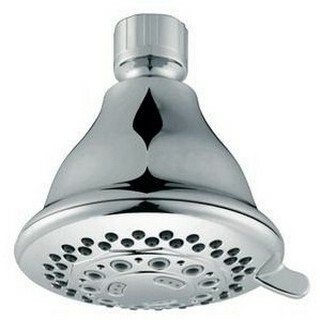 A restrictor is placed within the showerhead so that less water flows through. Instead of just water coming through the showerhead nozzle you instead get a mix of water and air. Essentially it is half the water at twice the pressure so it feels like a normal showering experience as the water pressure is not compromised despite the fitting of the restrictor. I bought the Water Saving Shower Head from Purchase.ie. This is a very expensive looking product at a great price. The 3 shower settings are really easy to access, and give a nice shower experience. Definitely uses less water than the normal shower head. I’d highly recommend this product. Delivery was very quick also. I bought a number of the Water Saving Hose Shower Heads for myself and my sisters.We are all impressed with them as the flow is just the same as any other good showerhead and it is reassuring to know that the water usage is reduced. Easy to install and also look good.